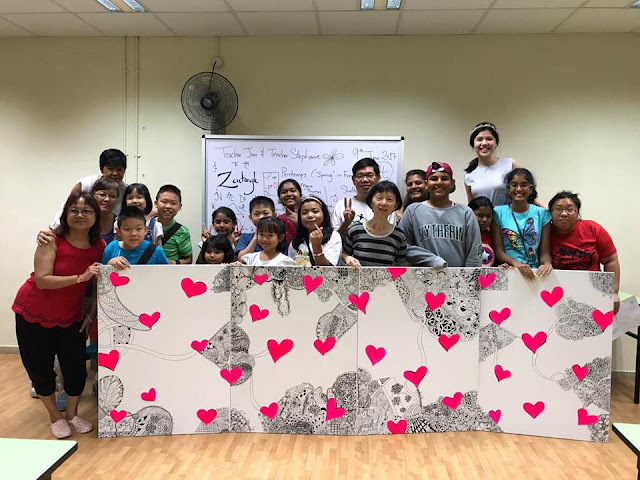 Here's the second workshop that we had for the collaborative art work to be completed for Bukit Batok East CC. It was truly so much fun. I'm playing catch-up for weekly challenges. I've been distracted by the Summer project under "Zentangle: Tangled & Journaled, Too!" on Facebook. I've also did personal projects, namely; two small canvases for my living room. They were done using Identi pens, with highlights added using a Signo Broad pen. The gold of the canvas comes from a spray. I did this first one on my own. The edges have Diva Dance Waltz on it. And then did this pink one whilst teaching my niece to do a gold one on her own. We had a great time. The pink was done with neon acrylic paint. Here's what my 7 year-old niece did. In other news, I will be teaching my first online course. 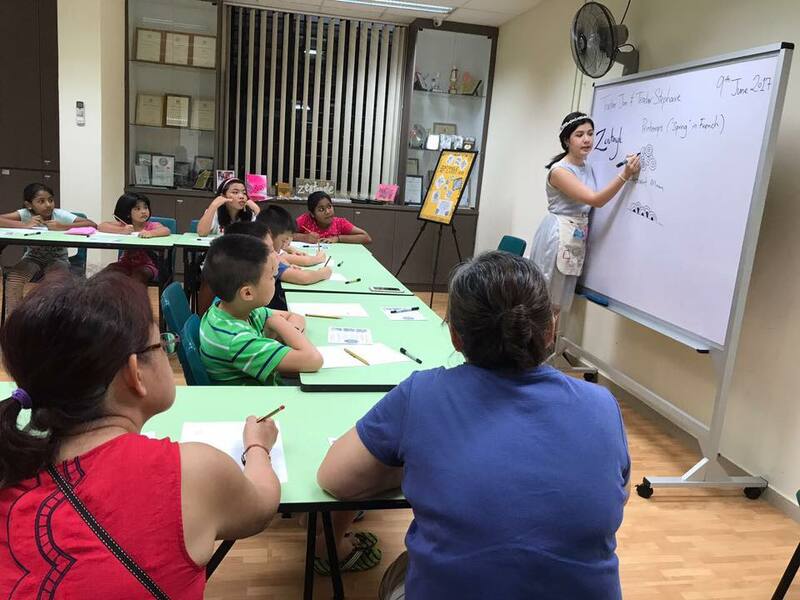 I will be teaching alongside seven other teachers. In my video, you will learn how to merge tangles together. I will be posting a picture of what you'll learn in another post really soon. Until then, there is an early bird special going on and the price of the course is discounted. So if you'd like to check it out, you can visit it via this link to find out more.